Jeremy Scott and Katy Perry are best friends. So are him and Miley Cyrus. Which is why, when they come out to his shows, people pay attention. Fashionistas and music lovers alike. It is when every pop star wears the colourful creations by these designers that the sales take height. And who doesn’t want to dress up like their idols, or at least have what they have? It’s the emotional branding that goes along with the choices Moschino makes for its brand, and it’s the perfect combo for everyone. All are happy. Jennifer Lawrence for Dior, Eddie Redmayne and Cara Delevingne for Burberry, and a plethora of celebrities and bloggers for Calvin Klein’s #MyCalvins campaign make the common man notice the fashion. Such is the power of film and pop stars that fill up our social media feeds. While Pakistanis might not have the star power to battle for the spotlight and take over the fashion industry, what we do have are budding superstars who are making their name across the border, in South Asia, and hopefully in the South Asian community globally. We have them to turn to, to get the fashion collaborations going. One of those superstars is Fawad Khan. Yes, the Humsafar guy who won over the hearts of millions of girls all over the world. He is the perfect person to take a brand name forward with his good looks, boyish figure and a fan following that speaks volumes of our obsession with the show. Oh, and don’t forget he co-starred with Sonam Kapoor. That makes the perfect sartorial couple, no? Recently, Fawad became the Republic’s ambassador. Republic by Omar Farooq is a menswear brand synonymous with quality menswear, a niche lacking the innovation it very much needs. Republic produces the kind of clothes that not only appeal to the modern, metro-sexual man, but also to the kind of guy who likes to keep things classic. Republic, the brain child of Omar Farooq, has kept true to its well refined roots, due to which it was recently nominated for the Woolmark Prize; one of the biggest design prizes in the world! So it only made sense for the A/W’14 collection to be titled The Woolmark Collection. It features the classic patterns plaid, windowpane, and checks exuding a timelessness to the collection. 1. Fawad is good looking. He can beat any fashion model in the country any day for his good looks. And he might not have the ramp height, but he is perfect for editorial spreads and print modelling. But if Oliver Cheshire can have the same height and get away with it, then why can’t Fawad? 2. He’s a global phenomenon. Only in the Bollywood loving community, yes, but it is huge. Yes, HUGE! So of course, when fans keep track of him, they run into Republic’s awesome clothes that Fawad dons perfectly. So it’s like when Fawad looks good, so does Republic. 3. They work for each other. Let me tell you how; Republic makes the most dapper clothes in Pakistan. They’re masculine, trendy and totally suit the modern man. And when a modern figure, and an idol such as Fawad, goes for something that embodies the philosophy of the modern man lifestyle, it creates this perfect combination, like hazelnut and chocolate (aka Nutella). 4. Republic is a brand everyone should be aware of. 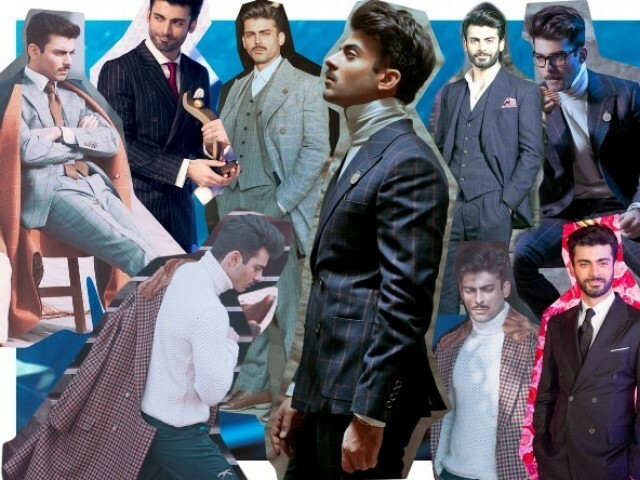 But since everyone is aware of Fawad, it helps the world recognise the talent behind what Fawad wears. Republic gets international exposure through Fawad. So, in a way, Fawad’s being on board is helping Pakistani menswear make a good name across various platforms. 5. Abdullah Haris shot the campaign. 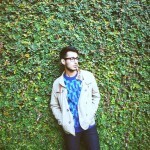 Abdullah is a photography genius. And when Abdullah is on board, things just have a way of working out for the best. With a growing fashion industry as ours, it is necessary to keep in mind that we need more participation of all the people involved in helping raise the bar of our fashion industry. Republic, being a brand now making waves across South Asia, was right to have chosen someone with a strong star power as Fawad Khan. When two forces like these come together, our fashion industry will get the recognition it solely deserves. Having hired the best in the game, Republic has done something which was only being done internationally. Where brands are going for international models to cater to our gora-loving nation, Republic chose a face that will be even more beneficial in making a name for a brand. Actors with a brand image, like Ali Zafar, Humayun Saeed, Imraan Abbas, and Hamza Ali Abbasi are the perfect examples of how brand ambassadorship can help take a label’s name to heights even a well known model cannot. It’s because these faces are well known, and having them be ambassadors of a brand will provide even better exposure to our fashion industry. Instead of having Bollywood names represent our national brands, such initiatives should be encouraged. We have immense talent in our nation, and we have all the resources we need. We just need to connect the dots and create something that speaks for the work that our country’s fashion industry is capable of producing, and the nation, and the world, is equally accepting to loving. Lindsay Lohan might be converting to Islam, but how is that our business? All i wanna say that Personality Worship of the highest sort is part of Desi DNA. Transforming one person into a Demigod in a matter of time is practiced time and again in our country. Fawad is a good actor but lately it is getting annoying with too much sycophant articles appearing on many blogs. How great of you to give us imaginative fiction like this during my halfday break.